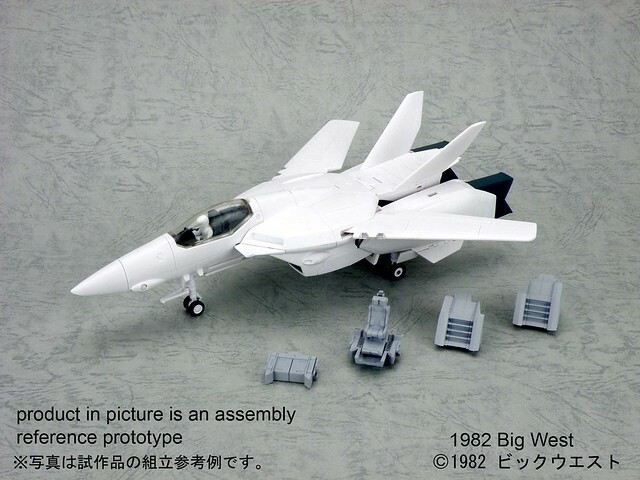 Update: Built a 1/60 VF-1A "Miria" with the kit I got. 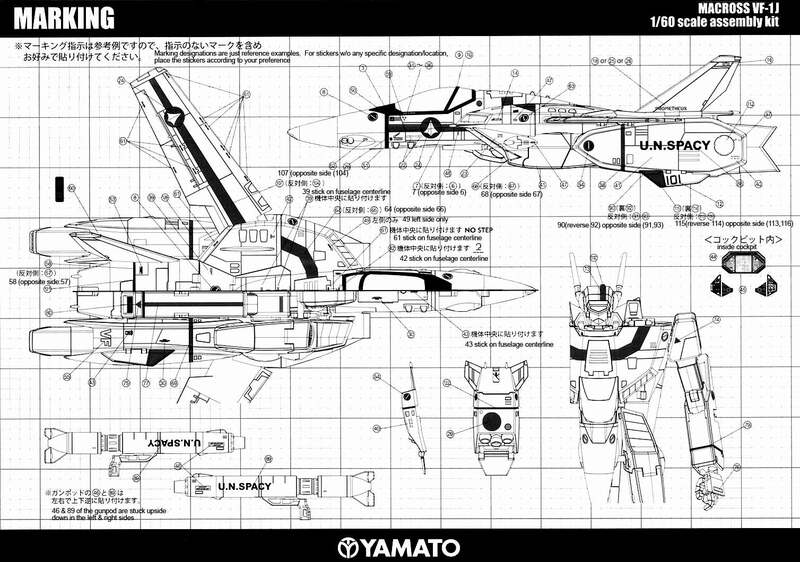 One of the great releases from Yamato Toys was the 1/60 VF-1 No Paint Kit series from their Macross Line of Toys. 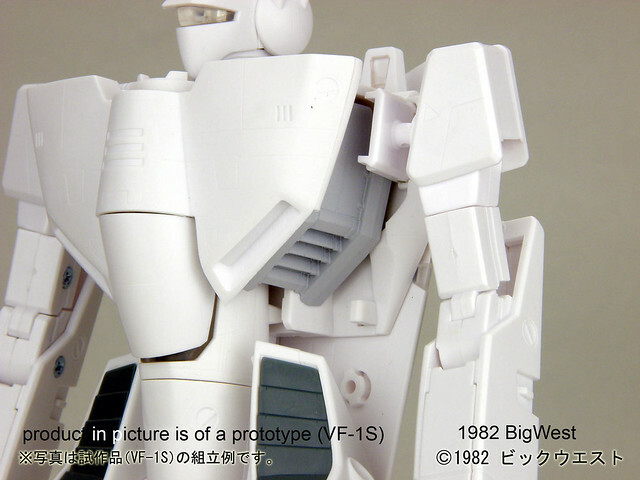 It takes the highly detailed 1/60 Perfect Transformation VF-1 and offers it up unassembled so that the consumer can build it himself to their liking like a model kit. 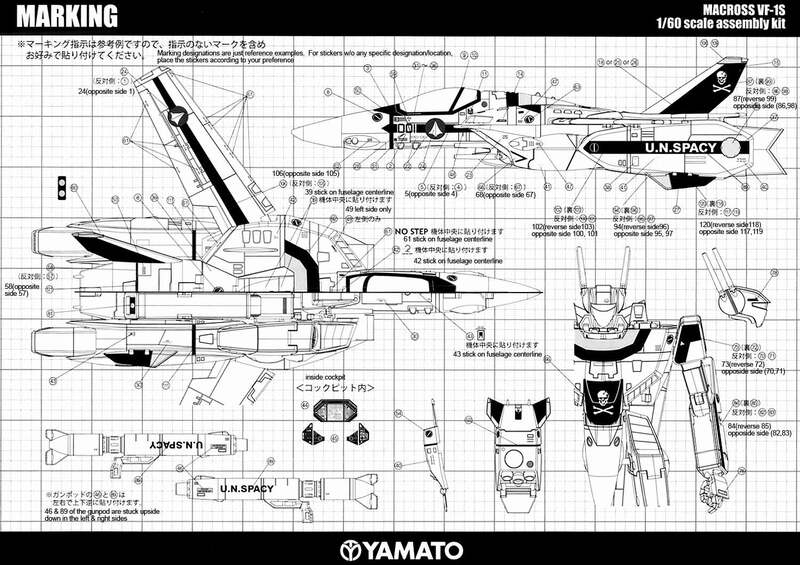 The initial release of Yamato Toys for its no paint line was of the VF-1S, last year it included the VF-1A, VF-1J and also the VF-1D. 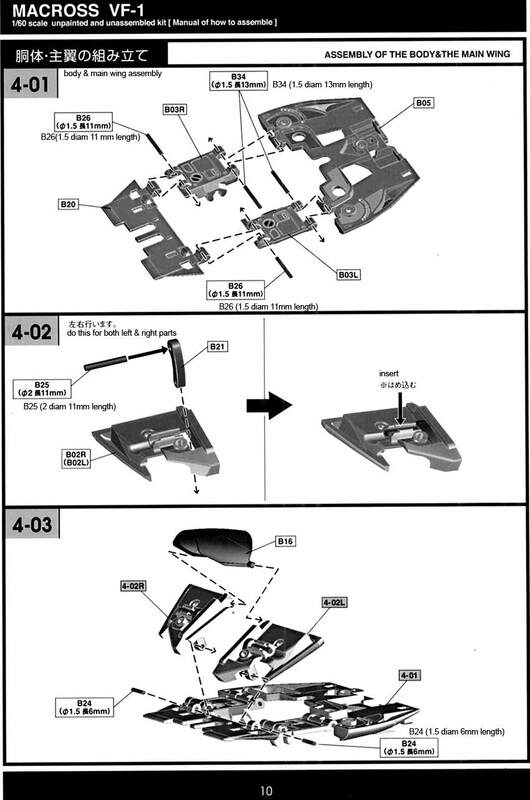 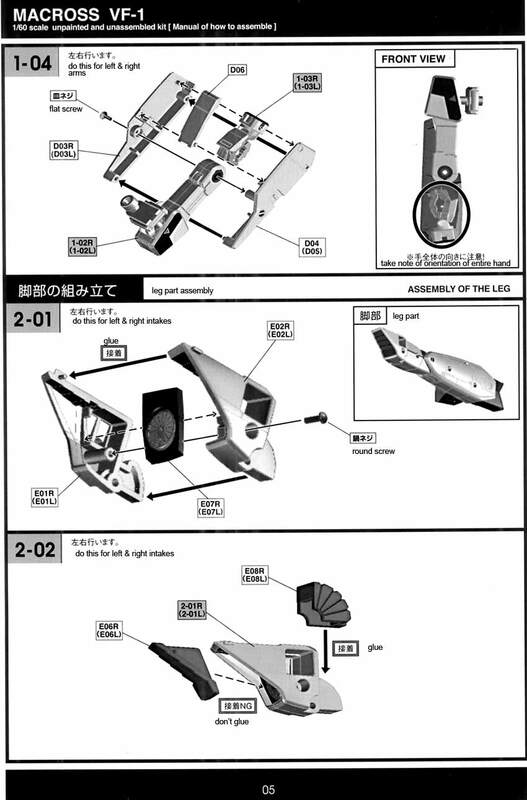 The difference between the original release and this line is the inclusion of Bonus/Optional Parts. 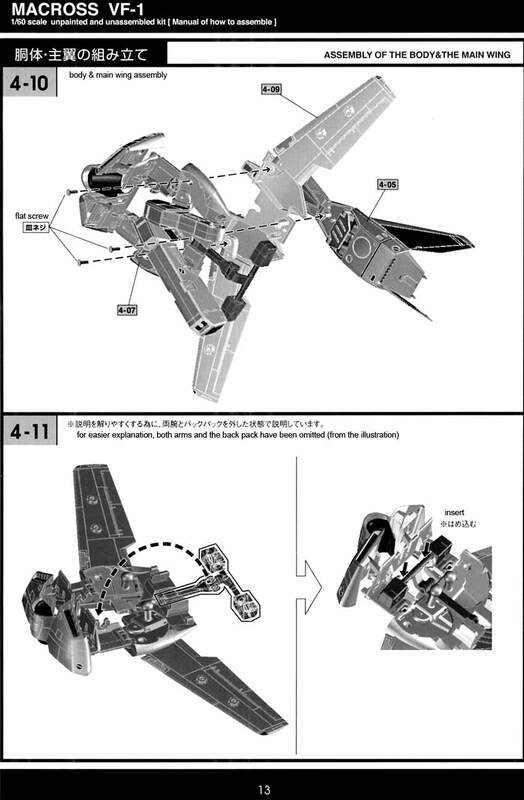 Bonus parts include side covers, a back cover and a pilot seat for Battroid mode. 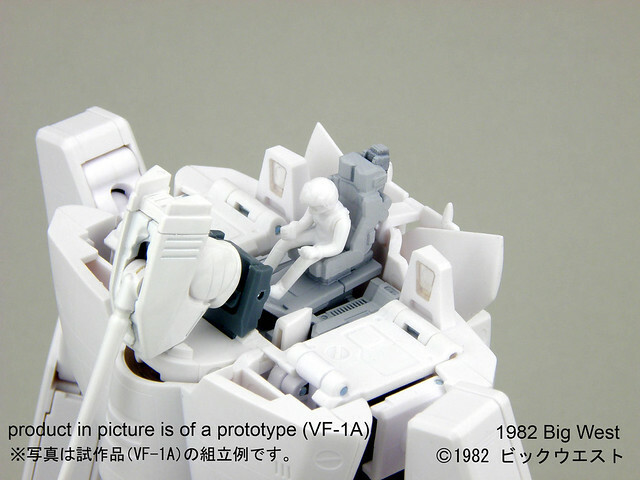 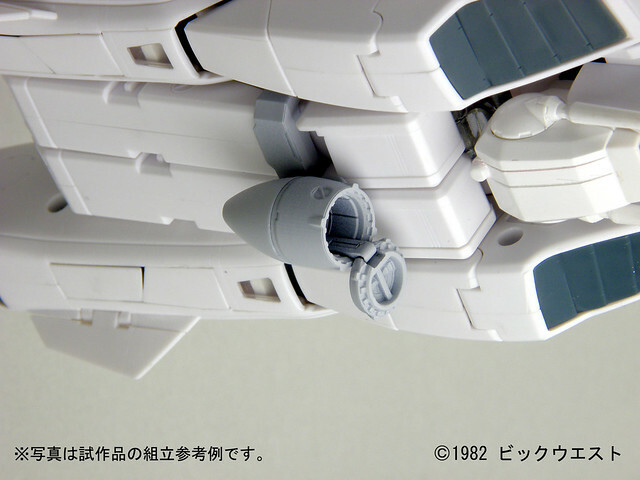 The VF-1J comes with an additional Komilia Pod while the VF-1D comes with a different 2 pilot seat design for Battroid mode to account for its two seat configuration. 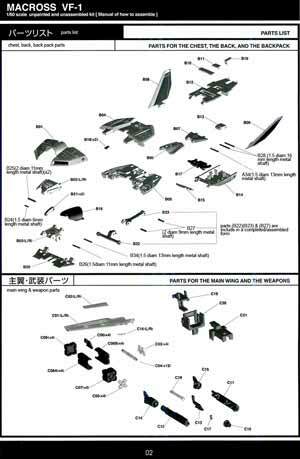 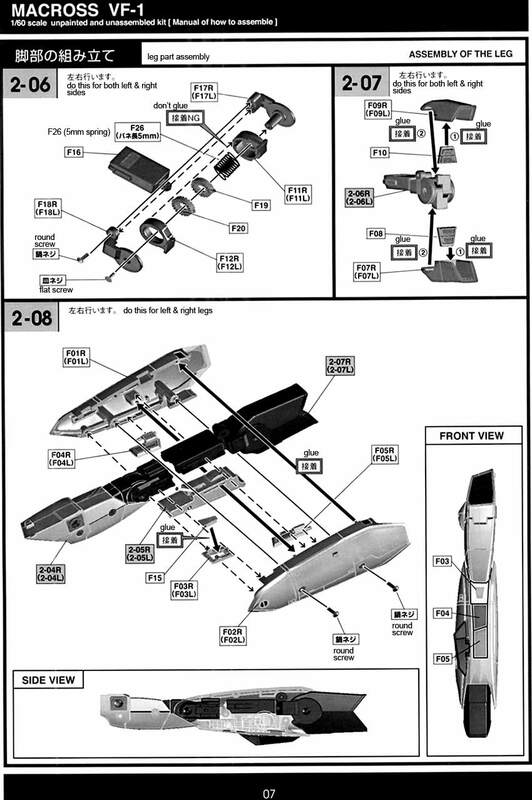 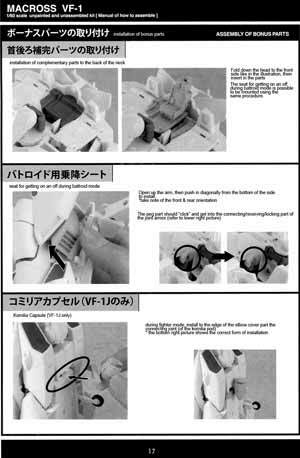 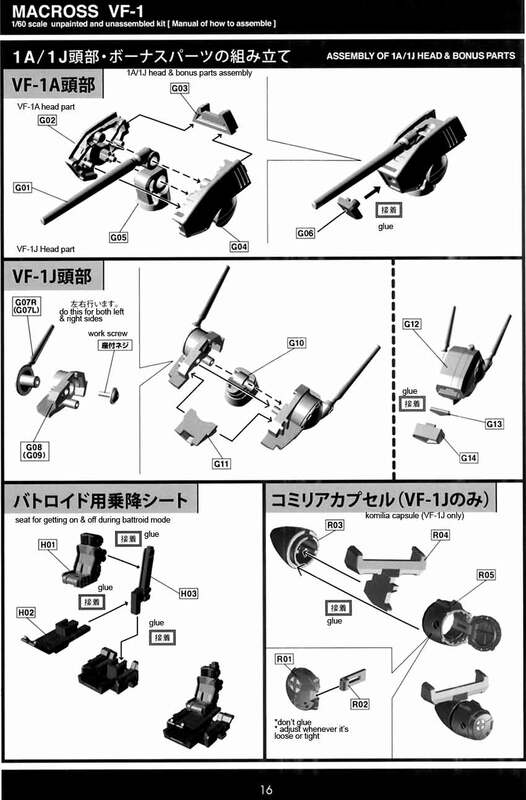 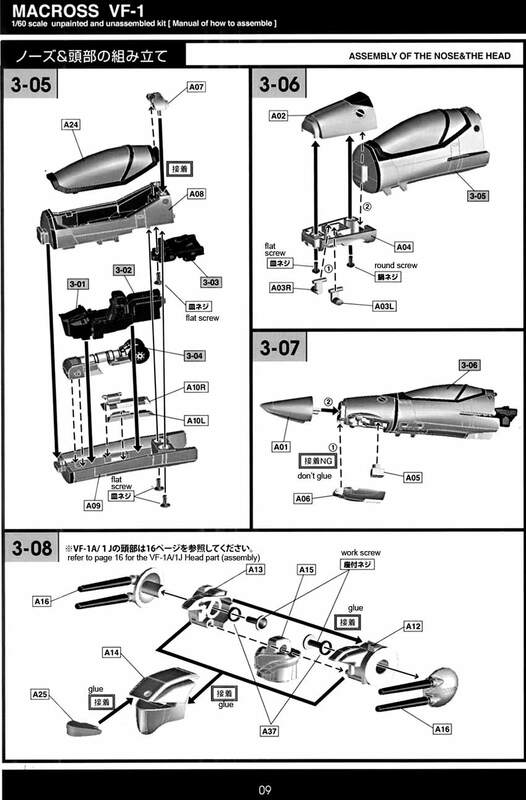 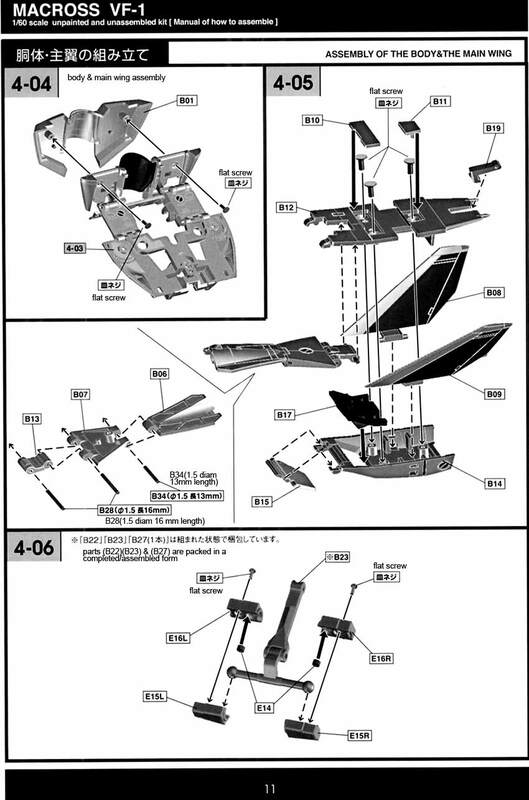 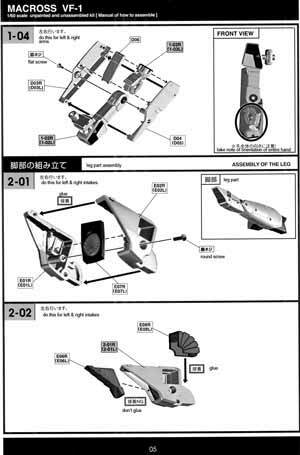 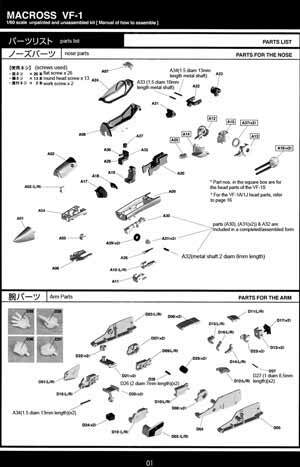 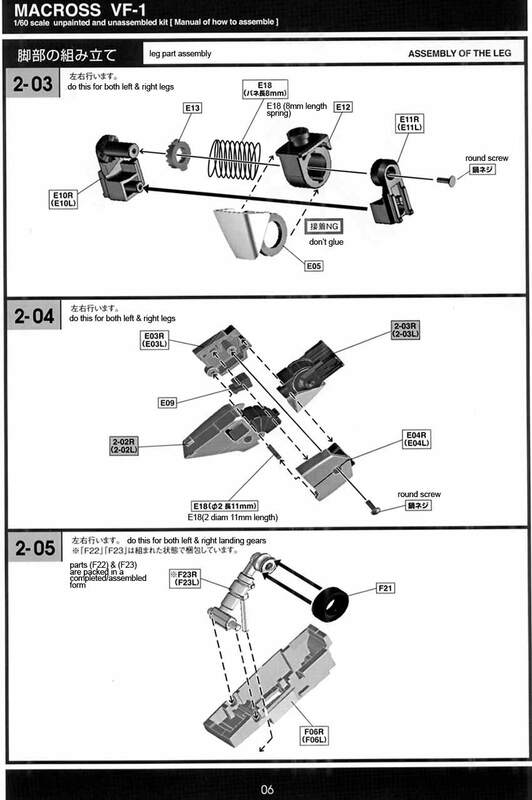 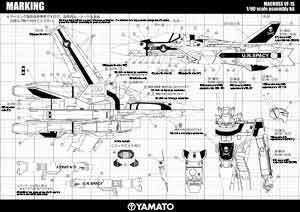 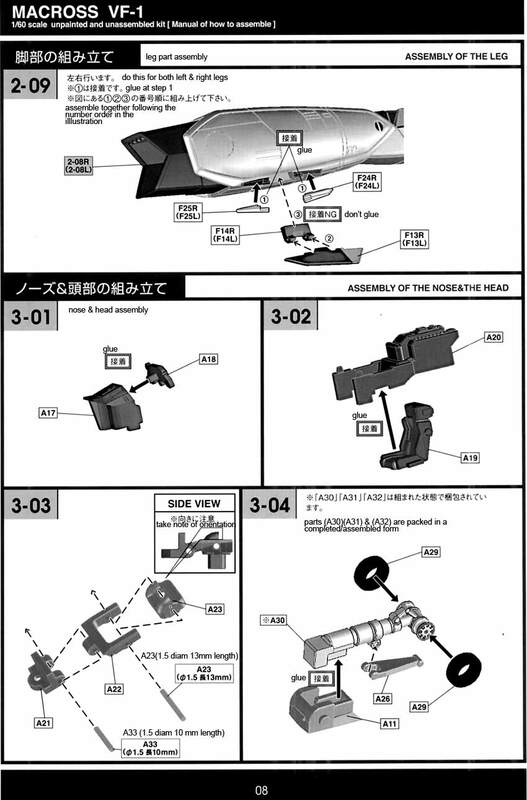 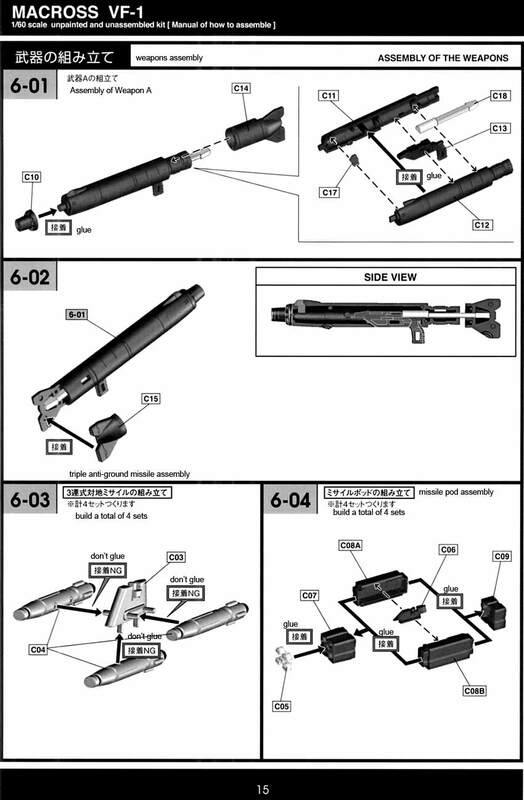 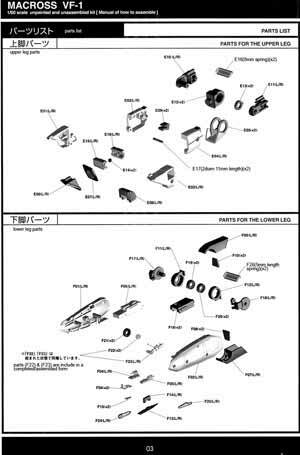 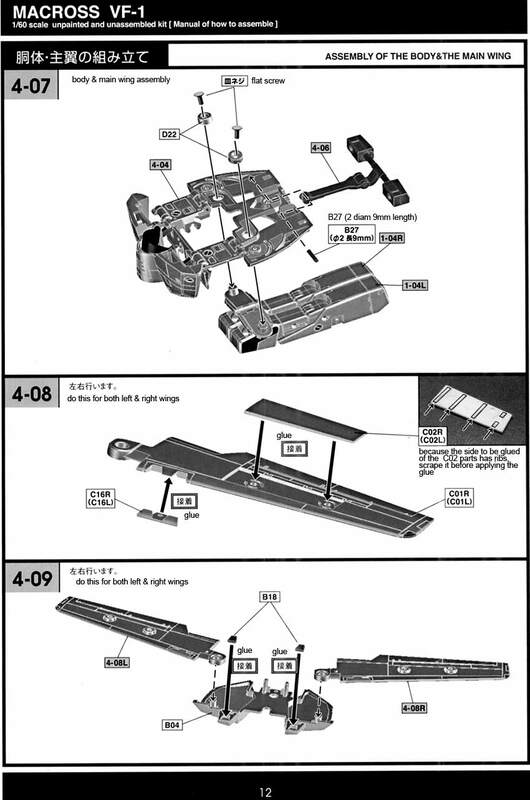 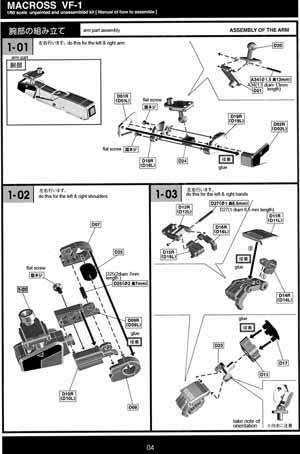 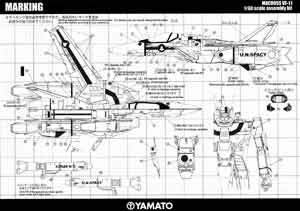 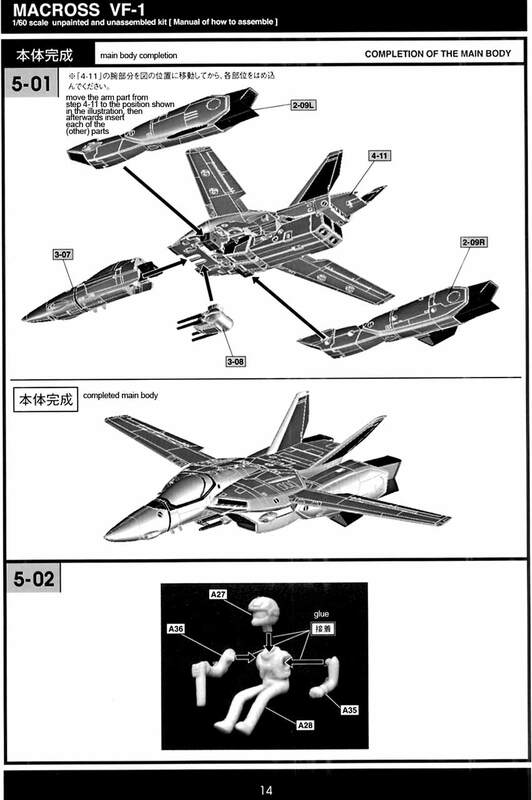 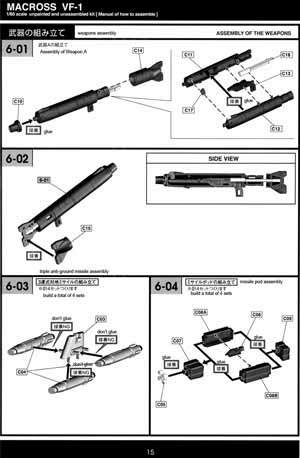 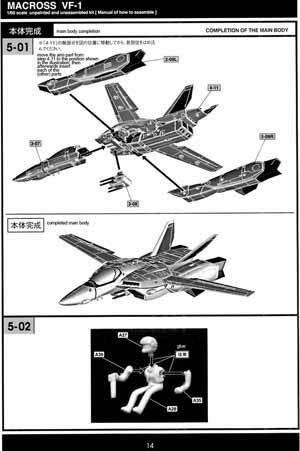 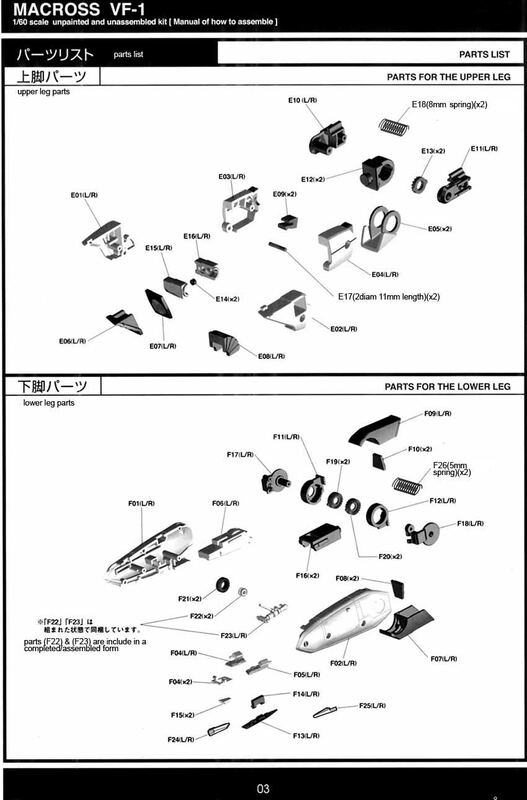 This translated construction manual for the VF-1 No Paint Kit w/ Bonus Parts can be used to assemble the VF-1S, VF-1A and VF-1J.